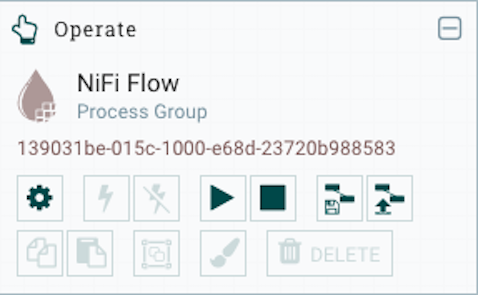 Open the NiFi user interface canvas. 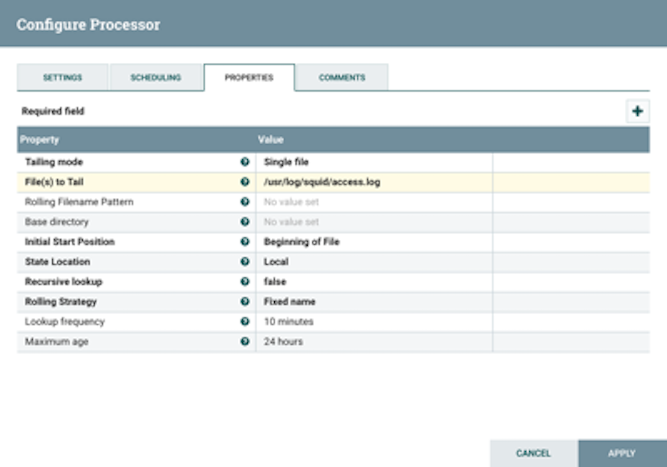 Drag (processor icon) to your workspace. Add another processor by dragging (processor icon) to your workspace. 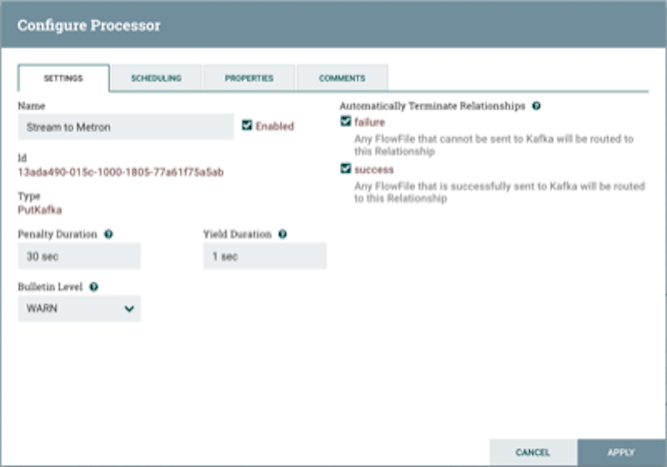 In the Settings tab, change the name to Stream to Metron and then select the relationship check boxes for failure and success. 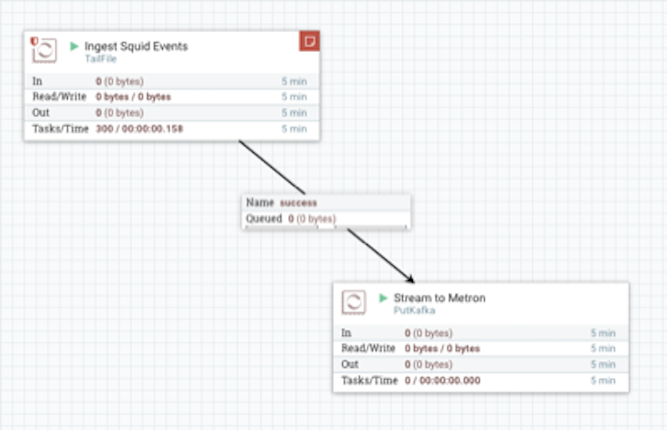 Create a connection by dragging the arrow from the Ingest $DATAPROCESSOR Events processor to the Stream to Metron processor. 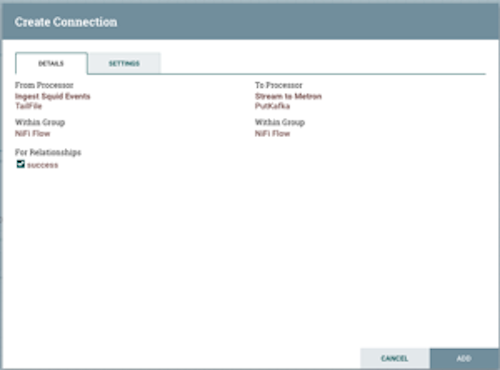 NiFi displays Configure Connection dialog box. 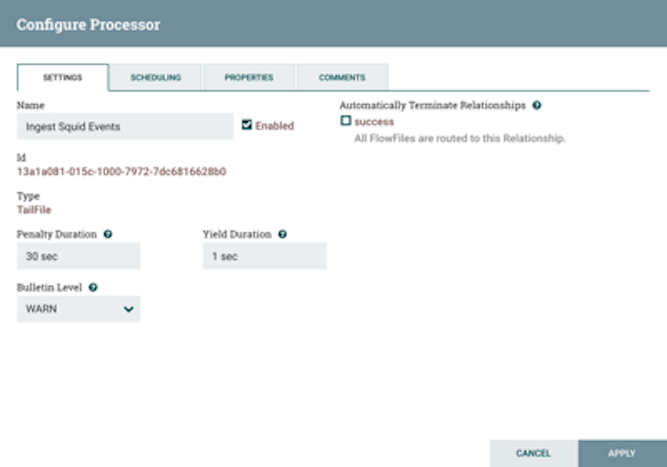 In the Details tab, check the failure checkbox under For Relationships. Click APPLY to accept the default settings for the connection. Press Shift and draw a box around both parsers to select the entire flow. In the Operate panel, click the arrow icon. Look at the Storm UI for the parser topology and confirm that tuples are coming in. 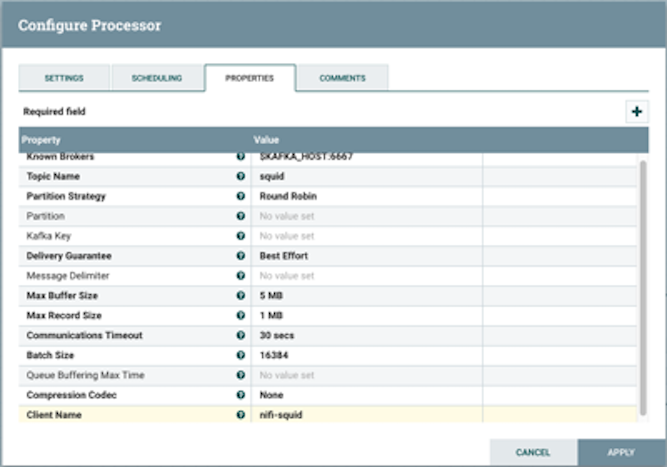 After about five minutes, you should see a new index called $DATAPROCESSOR_index* in either the Solr Admin UI or the Elastic Admin UI.